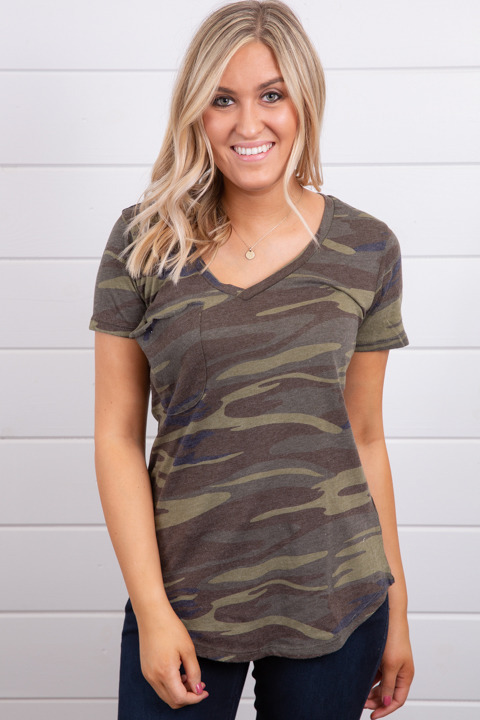 The Camo Pocket Tee made by Z Supply is the comfiest tee in a fun camo print. 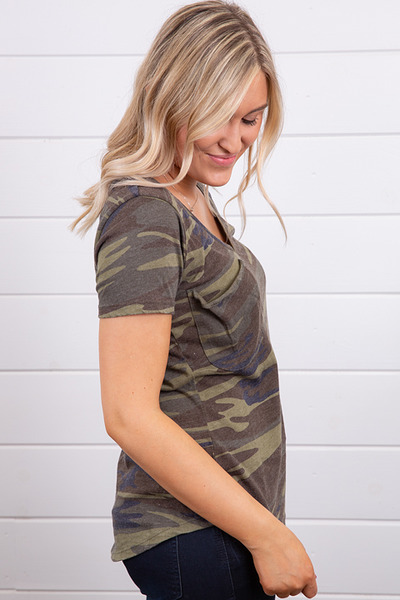 This super soft tee is made from Z Supply's hacci knit fabric giving it a worn vintage look. 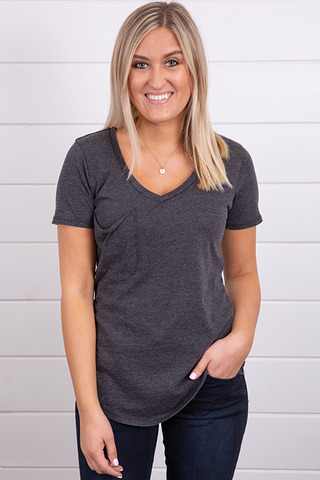 The tee features a curved v-neckline and a slouchy raw edge pocket. 52% cotton, 40% polyester and 8% rayon. Machine wash cold, lay flat to dry. Photographed with the Lace Cami in black by M. Rena.